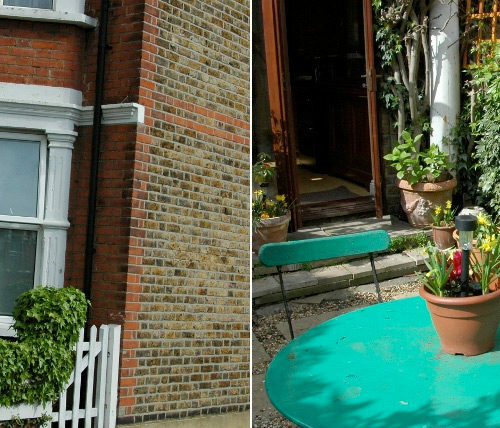 Orchards is a lovely two bedroom/one bathroom Edwardian corner house built as part of a development at the turn of the last century on farmland once covered by orchards for supplying London markets. Now a very comfortable yet eclectic ‘home from home’ in an area recently designated a Heritage Zone. Only a five minute walk to Northfields tube station with Piccadilly half an hour in one direction and Heathrow Airport twenty minutes in the other. Northfields offers an amazing range of good cafes, shops, supermarkets, a bakery, butchers, fishmonger and several excellent restaurants. Far enough away to enjoy a meal in the courtyard garden but near enough for all the necessary facilities. 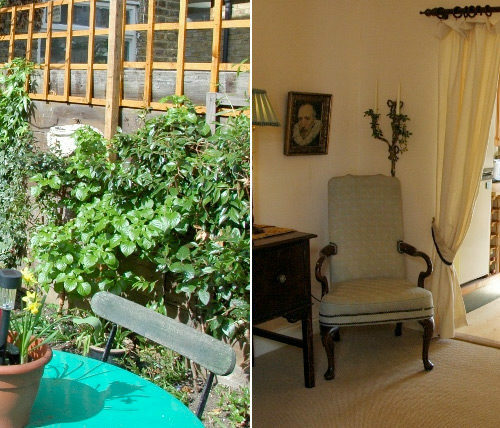 Orchards has much to offer – direct access to Central London and Heathrow or a relaxing city suburb experience with National Trust Houses, Kew Gardens, Hampton Court and parks within easy reach. Orchards is located on the corner of Northcroft Road with the front entrance situated on Altenburg Avenue. The house is extremely well presented in a traditional style with delightful antique furnishings yet it has an eclectic twist. 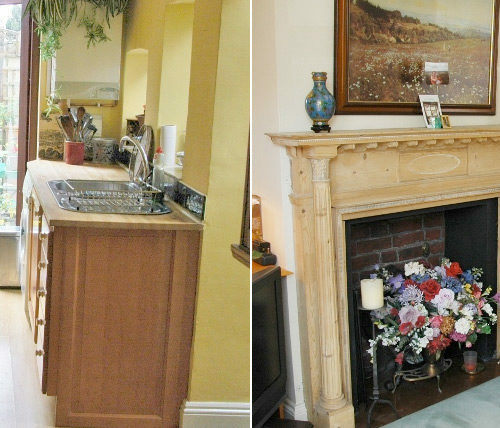 Downstairs is the very charming and relaxing sitting room with large comfortable sofa and two armchairs and an imposing fire place with a decorative wooden mantelpiece. Cleverly placed lamps and wall lights create a soft ambiance in this room in the evenings. 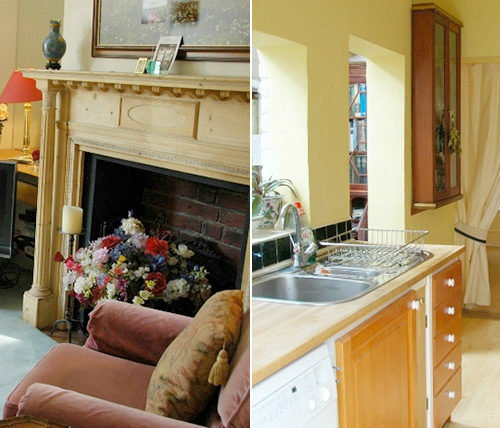 Through the hallway to an equally delightful dining room with an extendable dining table and four dining chairs. Curtained off from the dining room is the well equipped and spacious country-style kitchen offering everything you would need for either a swift breakfast or catering for friends and family. Next to the kitchen is the sunny breakfast room with a small table and chairs and not only is this room great for breakfast but perfect for drinks in the evening before dinner or a cosy night cap ! 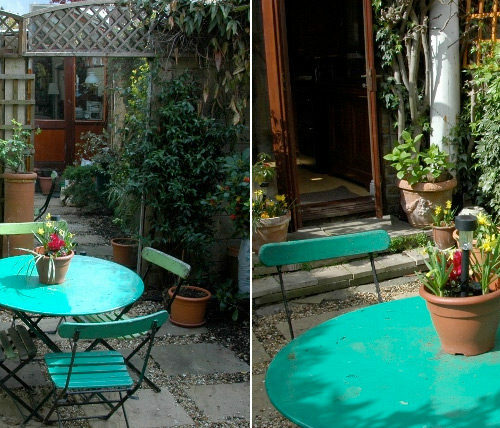 French doors from the kitchen lead to the colourful and pretty courtyard garden full of shrubs, plants and pots with various seasonal flowers plus a garden table and chairs. Upstairs is the good sized master bedroom decorated in soothing pastel shades with a double bed and a large oak wardrobe and chest of drawers. 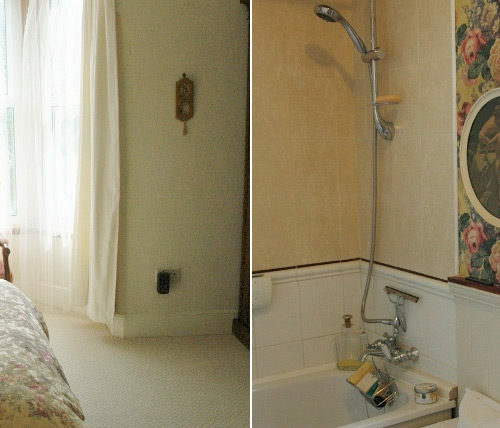 On the landing and between the two bedrooms is the floral decorated bathroom with small bath and overhead power shower, WC and basin. The second bedroom has two good single beds a large oak wardrobe. 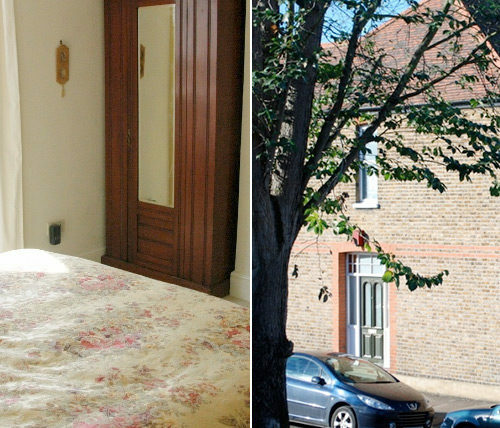 Orchards is perfectly placed in a quiet tree-lined street in Northfields, yet with the vast amount of efficient public transport links on offer all areas of the city are easily accessible from here. Parking is restricted due to the street being located in a controlled zone area and restrictions apply between the hours of 9am –10am and 3.00pm – 4.00 pm Monday to Saturday inclusive. Parking outside of these hours is permitted and free of charge. Unrestricted street parking is located just two minutes walk from the house on Northcroft Road. We highly recommend this lovely house. 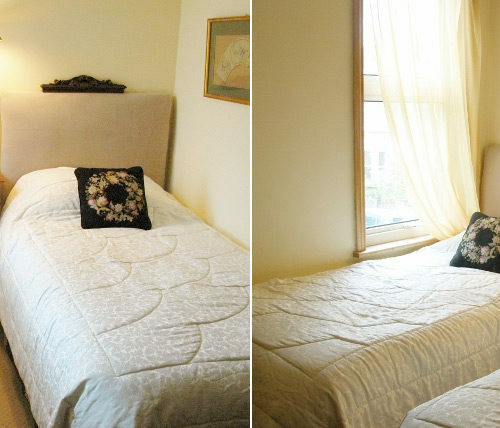 Prices include all utilities and wireless internet access but exclude a £65.00 end of stay cleaning charge.